Alfonso Preciado, MD is a board-certified general surgeon with specialty in laparoscopic / minimally invasive surgery. He performs surgical treatment of gastrointestinal diseases such as cancer, hernia, gastroesophageal reflux, diverticular disease, gallstones, bowel obstruction, inflammatory bowel disease, among others. Dr. Preciado received his medical degree from the University of Panama in 1989. After fulfilling his internship and social service in Panama, Dr. Preciado continued his training in general surgery at The Western Pennsylvania Hospital in Pittsburgh from 1992 to 1998, where he received the Lester A. Dunmire Award and the Outstanding Laparoendoscopic Resident Award. He served as Chief Resident at Western Pennsylvania Hospital from 1997 to 1998, and he then went on to complete a fellowship in advanced laparoscopy at Baylor College of Medicine in Houston, from 1998 to 1999. After completing his training in 1999, Dr. Preciado practiced in his native country of Panama for five years, where he became part of the academic staff at the social security hospital, as well as director of resident education. During his stay in Panama, Dr. Preciado introduced advanced laparoscopic techniques to the country, including the first laparoscopic gastric bypass. He has been practicing in Utah since 2007. Dr. Alfonso Preciado specializes in General Surgery at the MountainStar General Surgery in Draper, UT. 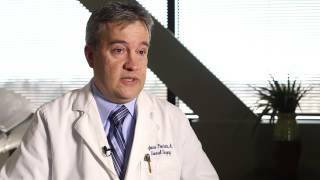 For more information, please visit www.mountainstargeneralsurgery.com.